Update:Google has had renewed the ICP license to work in China. Highly criticized Google China case come to an end, when Google China stops to redirect users to Google HongKong Page. If you missed it, Due to high censorship pressure of local laws Google took a move to reroute it's China website to uncensored HongKong one in March this year. Which was unacceptable for Chinese government, Chinese media and some users, and highly criticized. Soon after, GoDaddy too stopped registering .cn domain names. However Google claims that google.com.hk is working well for users and Google. But the end of redirection has a big reason, If Google doesn't stop this, It will not be able to renew it's Internet Content Provider (ICP) license. Forensic scientists and Police department always wanted a permanent solution to store images and other evidence (just forget in Bhopal case the alteration of IPC 300 to 300A for now). Traditionally a 35mm film was employed for storing forensic images, data in this case is degraded and finally lost overtime. So, Sandisk Corporation the leading flash memory card manufacture launched Sandisk WORM SD cards "Write Once Read Many". These worm SD cards can store images for about 100 years without any degradation. Sandisk has already shipped volume of 1GB SD worm cards to Japan Police. 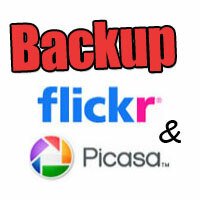 [SEO Tip] Flickr vs Picasa Web Which One is Better Optimized for Image Search? SEO Flickr vs Picasa Web Albums Which One is Better Optimized for Search Engines? Blogs look just empty without images. I suggest fellow bloggers to add at least a single image to their blogs. The image may be the screen shot, logo or anything. Then comes hosting of images, You may like to read "Top Image Hosting & Sharing Solutions". Having images also has another advantage of Image Search, I am revealing that 20% of total traffic from search egines to WhiteHatAndroid comes from image search. (search percentage is 80% however) The secret is "Optimizing Images for SEO". I wrote a full article on "SEO for Images for Better Image Search", you must read before this. Flickr and Picasa Web are the most popular image hosting services from Yahoo & Google respectively. However there are other websites too like Imgeshack, Tinypics etc. So which image hosting provider should you choose Flickr or Picasa Web ? Let me compare them as an SEO. Bookmarking is the best method to save a link of your favorite website or any content on web. An Internet user saves dozens of bookmarks every day. In fact there are many social networks devoted to bookmarking like digg, stumble upon, delicious, and the list may go bigger. If you bookmark your favorite links in multiple browsers, and bookmarking networks. You would face lots of difficulties managing your bookmarks. So we have a little but very useful application Transmute to do all the works for us. Transmute is a bookmark converter and manager, which can handle all bookmarking formats and web browsers. You can import and export bookmarks across multiple platforms including Google bookmarks, Delicious. The features aren't finished yet..
Now a days the contemporary PCs are designed all in one. They take minimal space and best suit for offices. 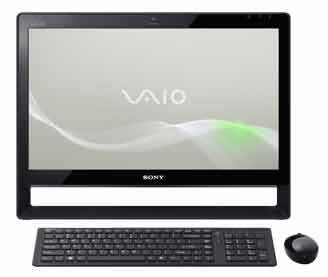 Recently Sony revealed VAIO J series PC all in one desktop PCs, which will go on sell at the end of this month. The 21.5" touch screen gives you full HD 1080p experience. Sony VAIO J is a powerful PC Intel i7-600 processors (2.66 GHz) with turbo boost up to 3.33 GHz. Sony VAIO J has huge space with 500 GB HDD, 6 GB of RAM and NVIDIA Geforce graphics with 512 MB VRAM. Isn't it huge in this mini PC? Let's see what's more. It's a great day for Microsoft, at first the final version of Microsoft Office 2010 hit the market, and now new Windows Live Hotmail Rolls Out. New hotmail is enriched of SSL, integration of Office Web Apps, Huge attachment up to 10GB via skydrive, One Time Password Always, Conversation Threading, enhanced anti spam and many useful features. There should be no doubt that Live Hotmail is one of the most powerful and secured email service, which was a paid service in early days. If you really want to know about how secured it is then contact any |-|ac|<er. Before I start I must tell you I am fan of Hotmail. Wonder if your home becomes your computer! Your web browser hanging on a wall, slide shows on the other, all your software in a showcase and your games in casino. Is this possible, I am extremely excited to share a little software 3DNA Desktop , you would feel the same level of excitement after installing it :))) 3DNA Desktop transforms your desktop in a 3D house, where you can easily navigate with keyboard. Note - This contest has started..
We know Google Search for its most relevant contents. This search Giant continuously adds new features and updates search algorithms in order to gives us best of our expectations. Last week they added customizable background to it's home page, which was much admired. Google added more to the search, which is out of expectations. keeping future in mind, Google announced Google Caffeine Search Index yesterday, promising the 50% fresh contents with real time updates, not only twitter of course :) Google Caffeine is ready to roll out. Blogger is one of the most popular Blogging software. Since Google acquired Blogger.com, Google has been adding new features and trying to make it of enterprise level, though wordpress users won't try to agree! Blogger team has invited users to participate in a feedback and testing session, actually usability study session for them. The participants will get opportunity to explore many new features which are under development and ready to roll out. Our feedback will help them to know What are our needs? What do we expect? How can Blogger improve? and What are our complaints? Cool Hotmail service has been discontinued. All of the Hotmail users have been migrated to Outlook.com now. 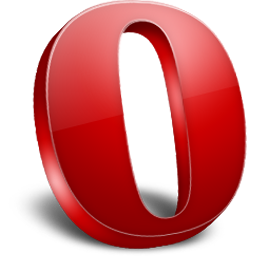 Are you bored with @gmail @hotmail @live @yahoo email IDs? or do you have any other boring, very common overused email id? Do you want your personalized email id for free? Yes, your own! It's possible to get a cool custom email id which reveals your personality, thanks to Microsoft Hotmail. Hotmail has launched a new service "Cool Hotmail" which lets the existing or new users create a unique email id from a big list of domains. This service is targeted exclusively to Indians at the moment.